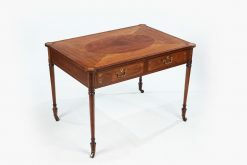 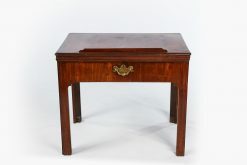 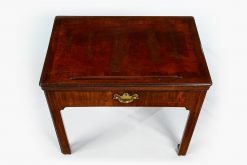 Late 18th Century George III Chippendale carved mahogany partners desk. 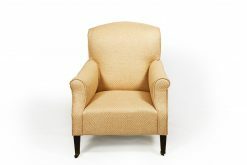 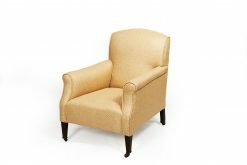 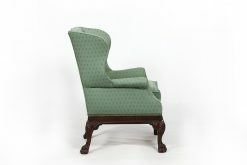 The concave moulded top with gold leaf tooling and blind tooling with hollow corners inlaid with brown gold embossed leather. 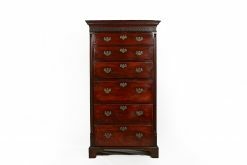 Raised on moulded concave plinth with hollow corners, four short drawers and two long dummy drawers, each drawer with ornate brass swan -neck handles and shaped escutcheons and locks, the plinths terminating on hidden casters, circa 1790. 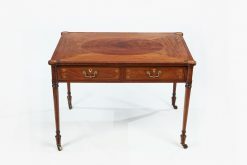 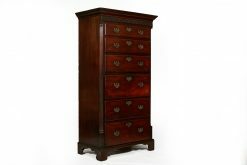 To enquiry about "10090 – Late 18th Century George III Chippendale Carved Mahogany Partners Desk", please complete the below form.